The marine helmet is an iconic part of the character. The film US M1 Steel lids (as used in WWII) that were then modified with a strike-plate at the front, lobster neck plates at the back, a Beyerdynamic ear-piece/mic and a Pentax camera lens. 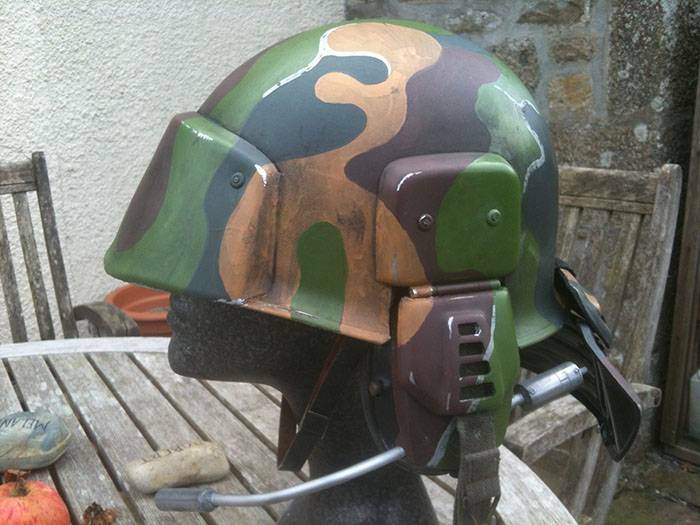 Our Kits/Built Helmets use the modern equivalent of the M1 (Austrian/Belgian) which is practically identical. We’ve been able to fit working radio headsets inside one of these and also fitted a wireless camera! 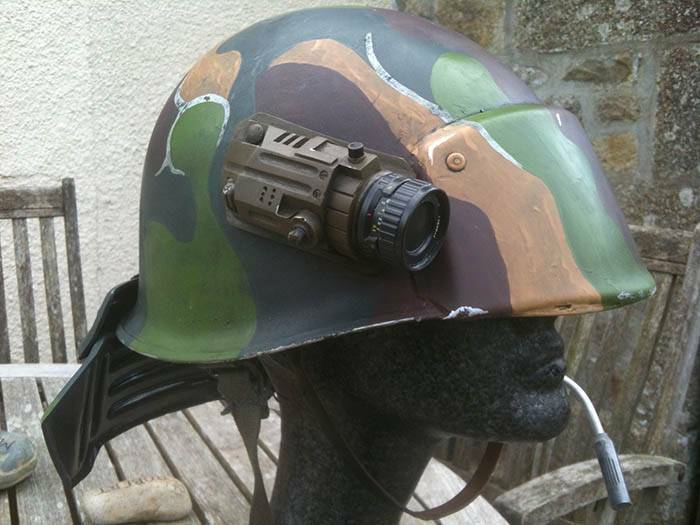 These can be fitted for you at extra cost but do not come as a standard part in the kits. 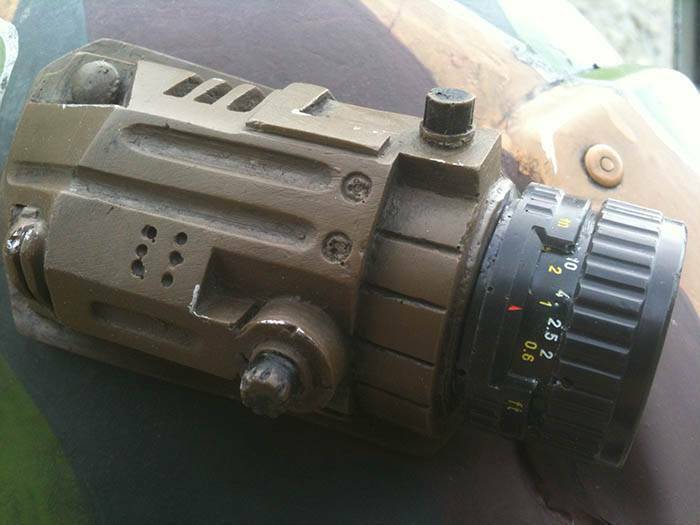 The Beyerdynamic boom mic, Itex ear cup and Pentax lens have all been cast from original items. Resin Beyerdynamic boom mic and aluminium tube. 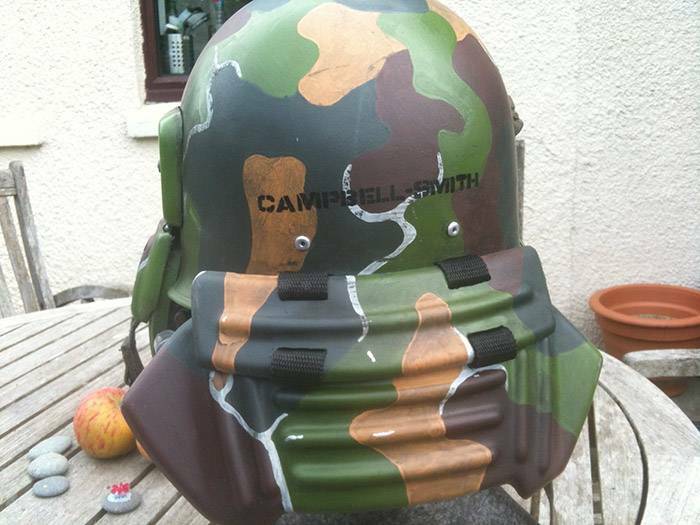 The Steel Helmet kits WILL need cutting and drilling to complete. These are hardened steel helmets (as you’d hope for a shrapnel protective helmet!) and as such will require decent power tools, Grinders/cutters and Drill (recommend using Tungsten Carbide Drill bits) to cut through it. If you don’t think you’re capable of this…. Don’t buy this as a kit. Either get a plastic one or get it built for you.